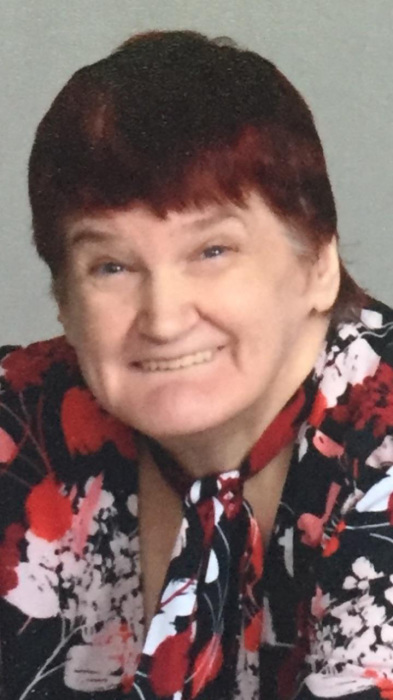 Ruth Anne Sawtelle 54, of Blackstone, MA passed away at Milford Hospital on August 31, 2018, surrounded by her family. Born in Woonsocket, on November 9, 1963, she was the daughter of the late George and Claire (Labossiere) Sawtelle Sr. Ruth leaves two brothers; George Sawtelle Jr and his fiancé Mary Lou Donlon of Blackstone, MA and Alfred Sawtelle and his wife Nancy of Grafton, MA. She leaves two nieces and a nephew along with several cousins, family, and friends whom will miss her dearly. Ruth was a graduate of Blackstone Millville Regional High School, Classof 1981. After high school, Ruth held several light assembly positions in home decoration and chain restaurant customer service. Ruth was an avid Boston sports fan, especially watching the Red sox and Patriots with her mom and dad. Ruth loved to travel and enjoyed swimming, bowling, and dancing with her closest friends and roommates Carole and Betty. She had many friends from Advocates, (Caring Partners for Better Lives), whom assisted her with daily routines. Ruth loved to laugh, had a wonderful sense of humor and took great pleasure in bringing joy to others. She especially loved spending time with family at the holidays. Ruth’s final gift was a donation of her corneas with hopes that someone will see the world she once knew. Relatives and friends are welcome to gather on Friday, September 7, 2018 at the Fournier & Fournier Funeral Home, 463 South Main St., Woonsocket, RI beginning at 9:30 AM with a Funeral Service at 11:00 AM in the Funeral Home and immediately followed by burial in St. Paul’s Cemetery in Blackstone, MA. In lieu of flowers, contributions may be made in Ruth’s name to Advocates, 1881 Worcester Rd. Framingham, MA 01701.